Digital X-rays are images that allow our experienced dentist, Dr. Bhoompalli, to detect and diagnose dental problems that are not readily visible with the naked eye. Digital radiography uses significantly less radiation than traditional X-rays – up to 90% less! 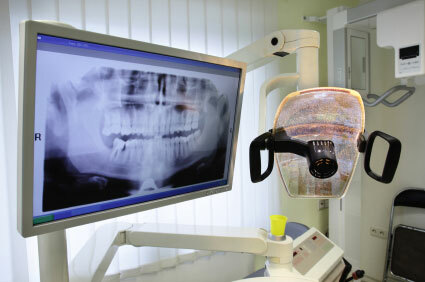 Digital X-rays also provide us with instant high-quality, expandable images that we use to identify dental problems. With digital radiography, the process for detecting and diagnosing dental conditions is faster and more accurate than ever before. We are pleased to utilize digital X-rays in Duluth, Georgia to provide you with the best possible dental care. Do I need digital X-rays? In addition, we may use digital radiography to plan certain dental treatments, such as root canal therapy, dental implants, and tooth extraction. We invite you to contact us today to learn more about the advantages and uses of digital radiography and to schedule your appointment at our dental office.